Wembley Stadium will play host to one of the biggest sporting events of the year on Saturday night as Carl Froch and George Groves meet in a potentially epic rematch and whilst I previewed the fight recently, here’s a more in-depth analysis of where the fight could be won and lost by both fighters. This battle is being billed as one of the biggest bouts ever and with 80,000 fight fans expected to pile into the iconic stadium, it is hard to argue with that assessment. Froch won the first fight following a hugely controversial ninth round stoppage last November when most believe that Groves had dominated the majority of the fight up until that point. Groves more than proved that night that he belonged in world Class Company and has rightly earned a re-match against a fighter in Carl Froch, who is desperate to cement his already impressive legacy. 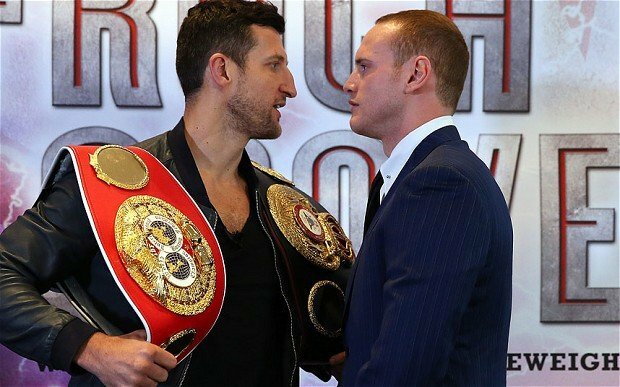 The first fight was billed as a complete mis-match with the battle hardened warrior Carl Froch expected to be far too strong for the young and confident George Groves. In the event, the Cobra took an unbelievable amount of punishment during the early stages of that first fight and it is a testament to his strength and character that he was able to come on strong in the ninth round and take the win. Froch has taken on all comers during his career and more often than not he has come out on top on the way to picking up various super-middleweight World titles. Wins against top names like Jermain Taylor and Mikkel Kessler stand out on his record but the feeling is that this fight against Groves on Saturday night could well be the defining one of his career given the stage. The Nottingham fighter has been happy to admit that the first fight was stopped too early but it was clear that Froch was starting to come on strong the longer the fight progressed. The early rounds were a torrid experience for the World Champion though with Groves surprising his opponent with some blurring hand speed and power. Groves shocked the boxing world when he floored Froch with a massive right hand in the first round and that could well be the key shot once again during the second. Froch was simply unable to avoid the right hand of Groves last November with the shot landing with almost unnerving regularity on the chin of the Nottingham fighter. That will be the key worry once again for Froch and his trainer Robert McCracken who have surely been working on a better way to avoid that overhand right this weekend. 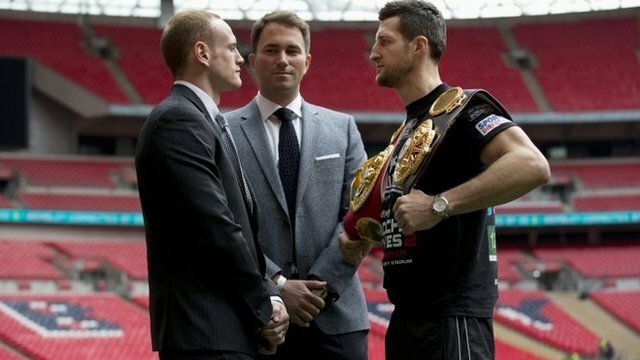 The build-up to the second fight has been slightly different from the first one with Carl Froch clearly eager to avoid being sucked into the mind games of Groves. The general feeling was that Groves did get under the skin of the Cobra in the lead-up to the first fight and there is no doubt that Froch has been keen to avoid a repeat of that. Both fighters have been waxing lyrical about their preparations for the rematch with both seemingly in top conditions meaning that there can be no excuses for either man this weekend. Anybody looking to have a bet on the big fight this weekend face a daunting prospect with either result more than possible if you look closely at both men and the way the first fight played out. At the end of the day though, it was Carl Froch who got the win in that first fight and as the defending champion he is the rightful favourite to win again. Time and time again Froch has proven to be a warrior on the big stage and you do get the feeling that he will have to go to the well one more time in perhaps the biggest fight of his career. The Nottingham fighter has said publicly on a number of occasions over the past few weeks that he has had a better camp from both a physical and a mental point of view and if that is the case you do have to favour the Cobra to pick up a late stoppage. He will need to be better though as he took an awful lot of punishment from Groves in the first fight and at 36, he is certainly not getting any better as a fighter. Groves dominated the early rounds of that first fight with his right hand causing the damage and if the Londoner is to win the re-match, you do get the feeling that he will need to repeat that performance through the early rounds on Saturday night. Whatever the result on Saturday night, it won’t be a shock, with both men more than capable of coming up with the goods as we saw in Manchester last November. Groves has youth and speed on his side but is likely to need an early stoppage to claim the win with Froch more than susceptible to an early onslaught, as he showed in the first fight. Much will depend on who executes their game plan on the night though and with Froch expected to be more switched on this time around, backing him to win by KO or TKO is the prediction with the benefit of more time to pick this battle apart on paper but whether if unfolds that way in the ring remains to be seen!